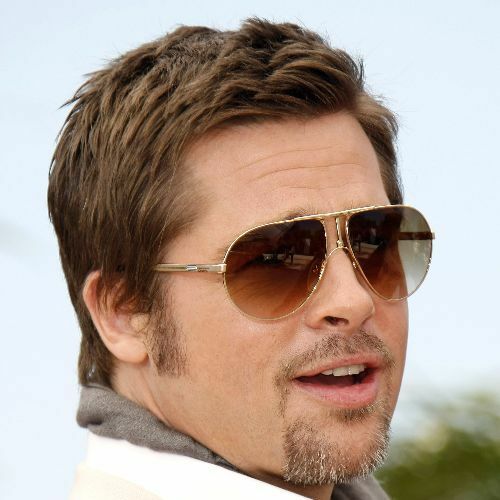 Recently mega-moug Brad Pitt spoke up about what he thinks of the people responsible for BP’s massive oil spill. So what would Brad do if he was in charge? He says he would have considered having the people responsible for the BP oil spill executed if he was in power and while he usually opposes capital punishment, he would make an exception if he could. FOX News quoted Brad while he was filming his part for Spike Lee’s new documentary If God is Willing and Da Creek Don’t Rise, which is being made to show the aftermath of Hurricane Katrina as it comes to it’s fifth anniversary. If you are interested in seeing Brad in Spike Lee’s documentary, you can watch it on HBO Tuesday night. So, Celebstalker’s, what do you think about Brad’s comments? Do you think Angelina Jolie agrees?? Do you wish that Brad was in charge? Make sure you comment below!! This entry was posted on August 24, 2010 by Echo Bravo and Foxtrot Charlie. It was filed under Angelina Jolie, Brad Pitt, Breaking Celebrity News, Mougar News, Top Celebrities and was tagged with BP oil spill, brad pitt, brad pitt and angelina jolie, brad pitt and spike lee, brad pitt bp oil spill, brad pitt death penalty, brad pitt rebuilding new orleans, hurricane Katrina, hurricane katrina documentary, if God is willing and da creek don't rise, new orleans, spike lee, spike lee documentary, what did brad pitt say about bp?, what does brad pitt think about the death penalty?, who did brad pitt say should be executed?.